Illinois is one of the many states which recognize the "inevitable disclosure" doctrine. As I have written before, the doctrine is a species of the Uniform Trade Secrets Act provision which allows "threatened" misappropriation to be enjoined. A few courts have noted the fine line between a threat of disclosure and the inevitability of such disclosure. Only lawyers would devote such time to parsing this distinction. With the new heightened federal pleading standard, a trade secrets plaintiff must show facts that demonstrate inevitable disclosure is a plausible theory of misappropriation. In Mobile Mark, Inc. v. Pakosz, a federal district court in Chicago rejected a motion to dismiss on the grounds the plaintiff had not pled the inevitable disclosure claim with enough facts. 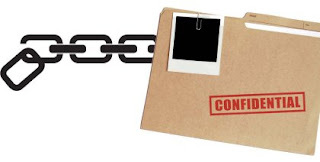 (4) The employer's steps in protecting against the employee's use or disclosure of the prior employers' confidential information (as an example, courts look to warnings, covenants not to use such information in a new agreement, "firewalls" from sensitive projects or clients). Prior inevitable disclosure cases seem to examine other factors, such as an employee's lack of candor about the new work assignment or shifting explanations about what job duties s/he will be assuming.